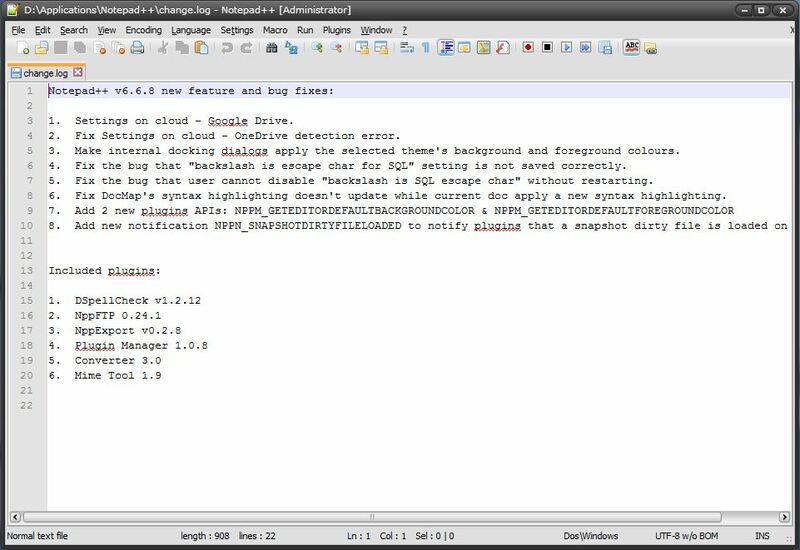 "Notepad++ is a free source code editor that replaces the native Windows Notepad application for editing code with many useful added features." 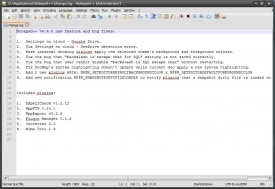 Notepad++ is a free source code editor that replaces the native Windows Notepad application for editing code with a lot of useful added features to make your coding experience much easier than you would normally expect from Notepad from Windows. Named after the native Windows application Notepad because of it's popular use with coding, Notepad++ brings many useful features to make your coding experience easier, while still maintaining Notepad's simplicity. Light weight and easy to use, Notepad++ is based on the powerful editing component Scintilla and is written in C++ whiling using pure Win32 API and STL which ensures a higher execution speed and saves space. A cool thing about Notepad++ is that many routines are optimized while still maintaining a user friendly interface and experience. So, either you are a novice or an expert, Notepad++ will have the features you need to help you code anything you need. No bulky interface with too many options that you never use, Notepad++ just has what you need. Notepad++ uses less CPU power than most other coding compilers while still giving you fast, efficient results. Notepad++ pays special attention to power consumption while running on your PC to reduce the amount of power used to contribute in reducing carbon dioxide emissions. While producing efficient results, the less CPU power you PC uses to produce those results while still getting the job done fast means for a greener environment. There are a few notable features of Notepad++, such as Syntax Highlighting and Syntax Folding, PCRE Search and replace, the GUI is completely customizable, a multi view, WYSIWYG, macro recording and playback, and is available in multiple languages.